Download "Neck Injuries and Disorders"
Patient Guide Sacroiliac Joint Pain Anatomy Where is the Sacroiliac Joint? The sacroiliac joint (SIJ) is located at the bottom end of your spine, where the "tailbone" (sacrum) joins the pelvis (ilium). VCA Animal Specialty Group 5610 Kearny Mesa Rd., Suite B San Diego, CA 92111 858-560-8006 www.vcaanimalspecialtygroup.com. WHIPLASH! Therapeutic Massage by Lucy Lucy Dean, LMT, NMT, MMT. 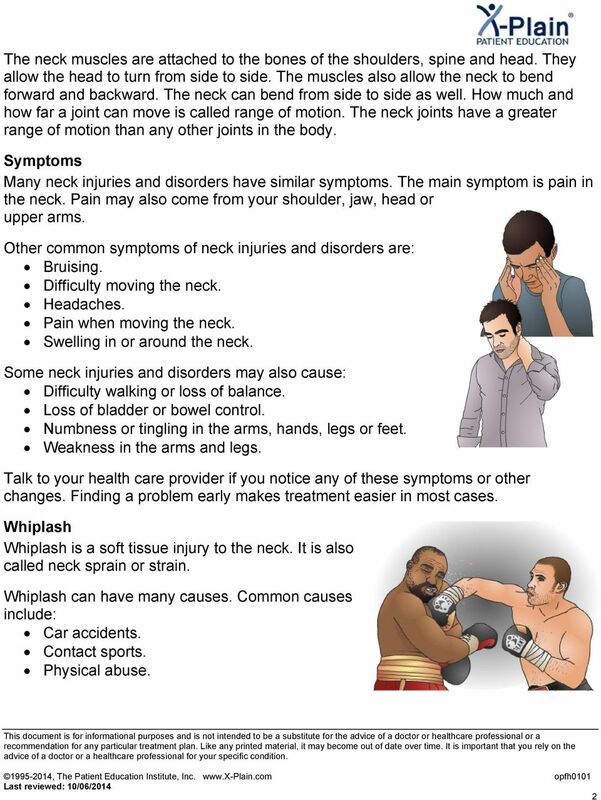 Helpful and effective treatment with Neuromuscular Therapy. 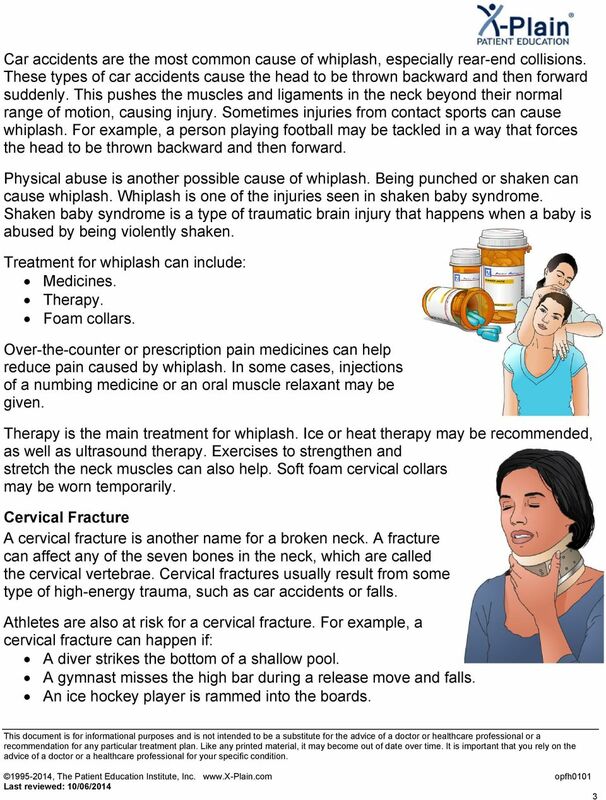 What does Whiplash mean? Hand and Upper Extremity Injuries in Outdoor Activities. John A. Schneider, M.D. 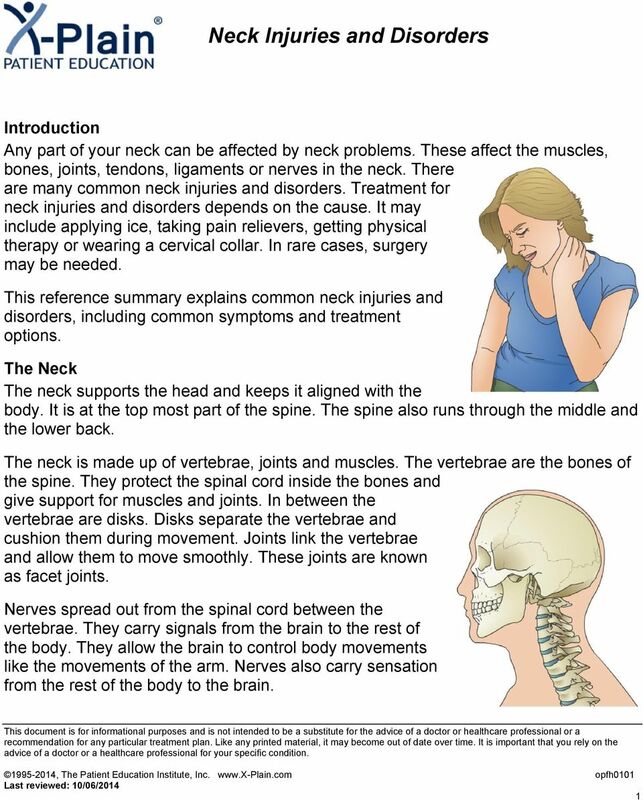 Spine Anatomy and Spine General The purpose of the spine is to help us stand and sit straight, move, and provide protection to the spinal cord. 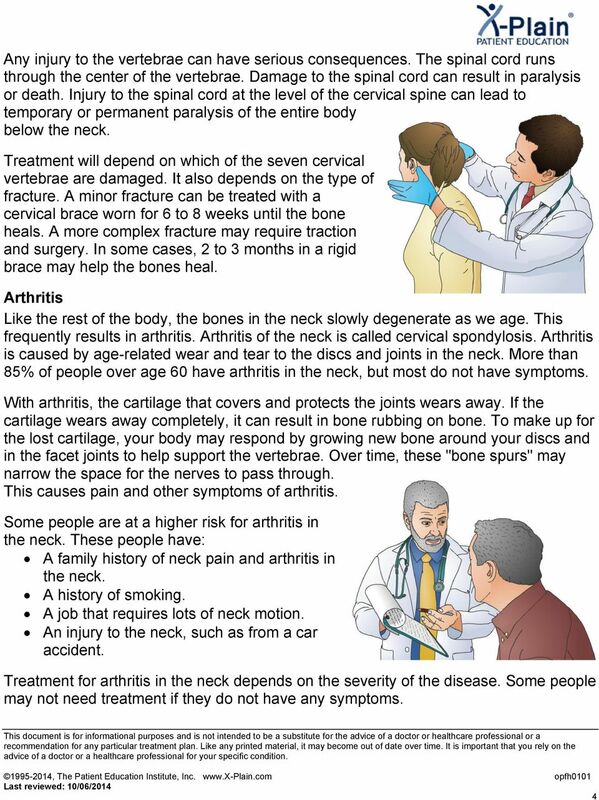 CHIROPRACTIC WELLNESS AWARENESS Do you want to have a healthy body? Do you like to maintain your high energy level? Do you want to be stress-less? Do you like to be pain free? Please call Conrad Nieh D.C. 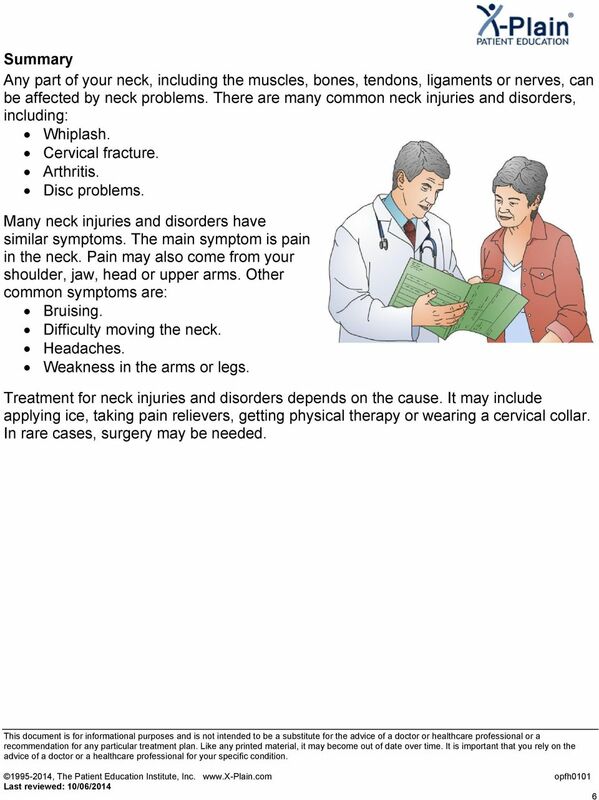 Patient Information Anterior Lumbar Interbody Fusion Table of Contents Anatomy of the Spine 2 The Healthy Spine 3 General Treatment Options 4 General Conditions of the Lumbar Spine 5 What is Spondylolisthesis? Contact your Doctor or Nurse for more information.